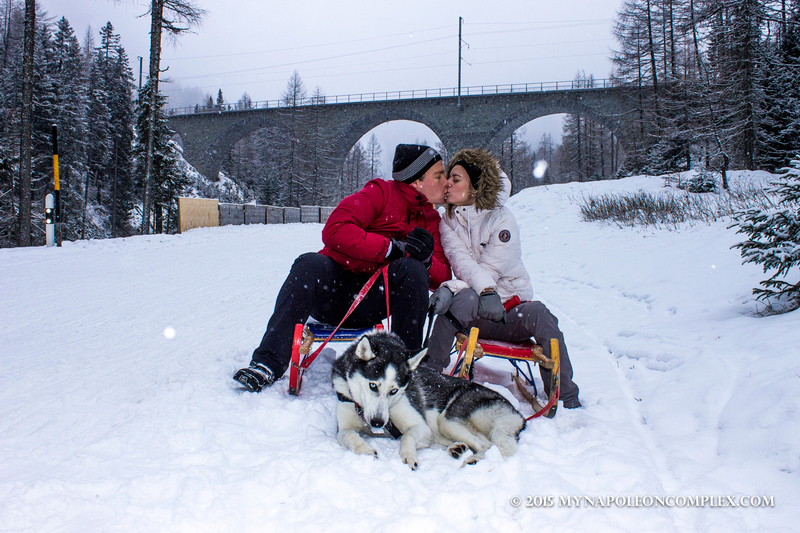 Last year we spent a weekend in the Italian Dolomites and got the opportunity to go sledding with Arya for the first time. Needless to say, she had a blast and surprisingly enough for me, I did as well. 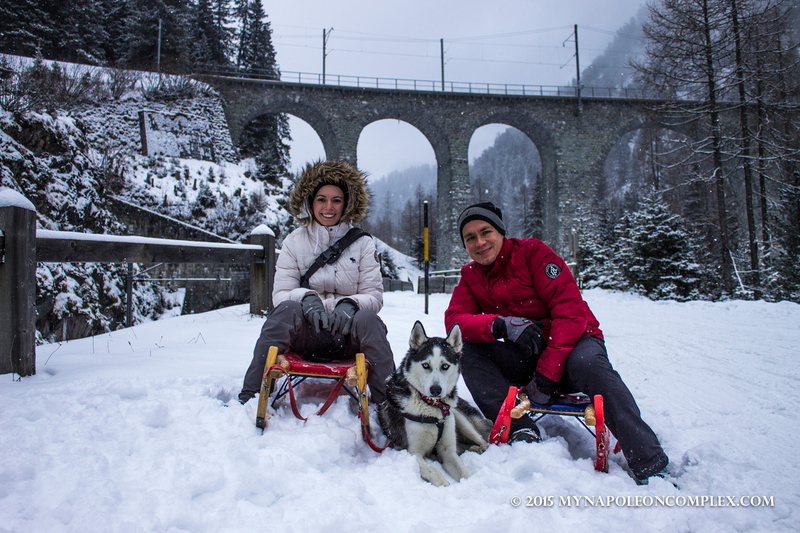 We wanted to have a repeat of that experience this year, so we knew we had to take advantage of all that snow and go sledding in Switzerland. 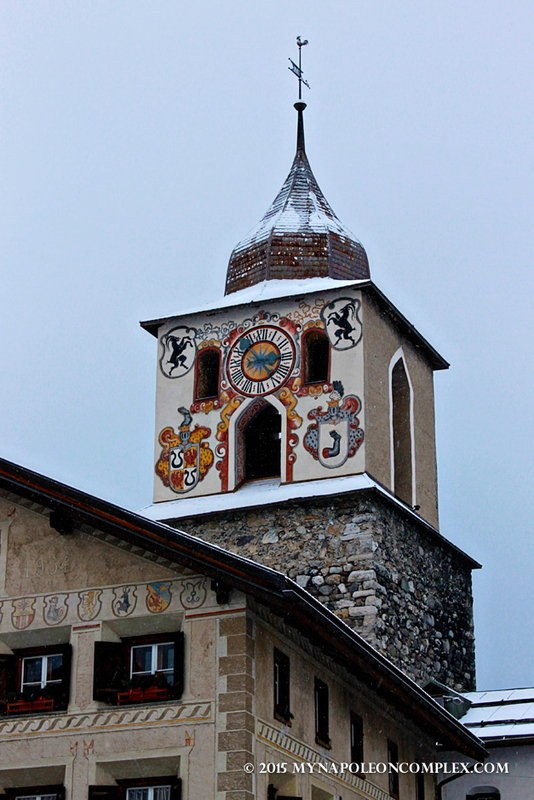 We began the day taking a little hike in the village we stayed at, Filisur, about an hour away from St. Moritz. 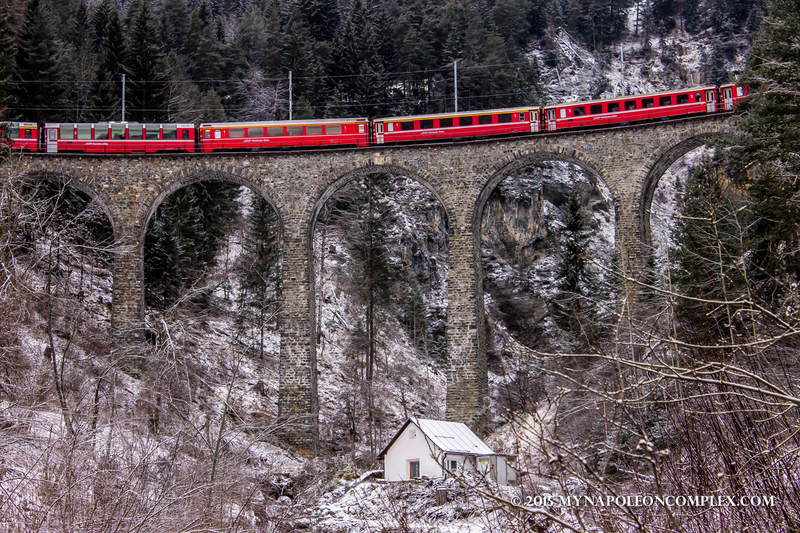 From Filisur you can see one of the many viaducts of the Rhaetian Railway, the Landwasser Viaduct, and we stopped to get a few pictures. 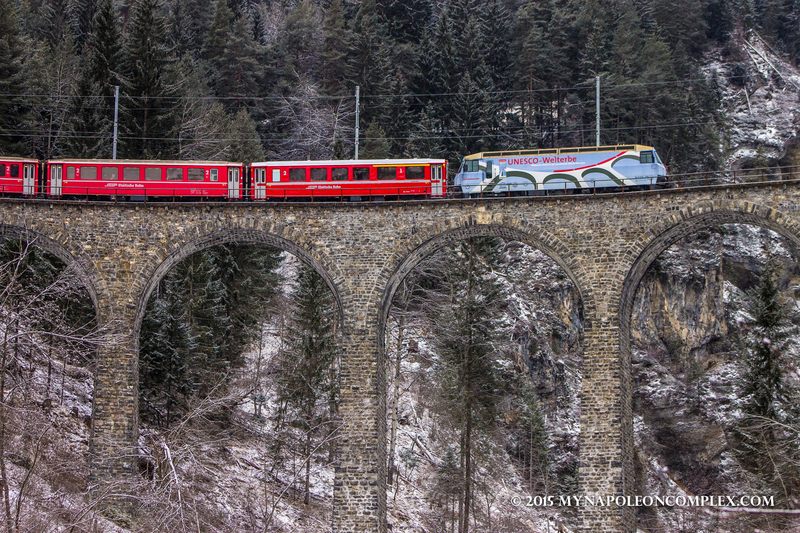 Both Filisur and Bergün also make up stops on the UNESCO Albula/Bernina line of the Rhaetian Railway. After, we took the car and rode to Bergün and from there we took a train to the beginning of the run in Preda. 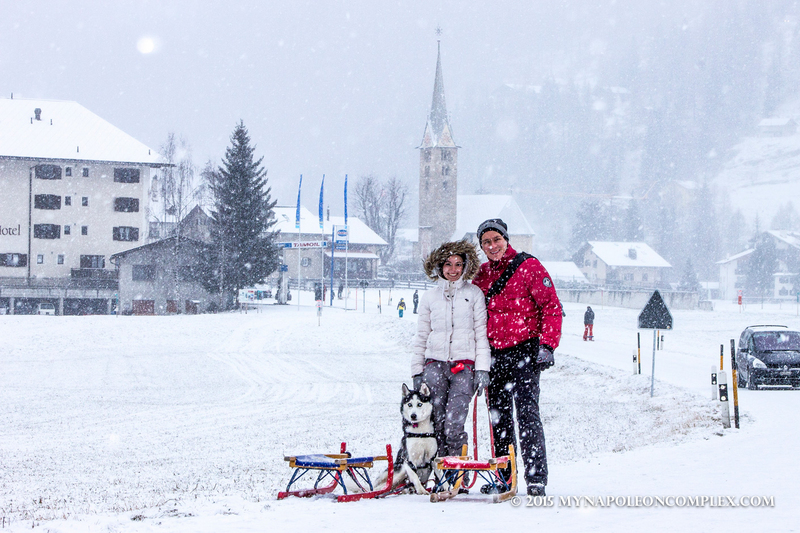 Everything was conveniently located, with the sled rental right on the station in Bergün. You can rent the sleds for the day and you also have the option to buy an all-day train ticket so you can sled all day long if you wish. The toboggan run is listed as a medium difficulty sled run on the Switzerland tourism website, but I found it was very easy. Unlike the sled run in the Italian Dolomites, there was really no danger of sledding over the edge of a mountain. The biggest danger would be people crashing into you, but because we went so early in the season, it wasn’t really packed. As for Arya, the lady at the train station warned us that dogs weren’t allowed in the run, but really it’s more a precaution than a rule. 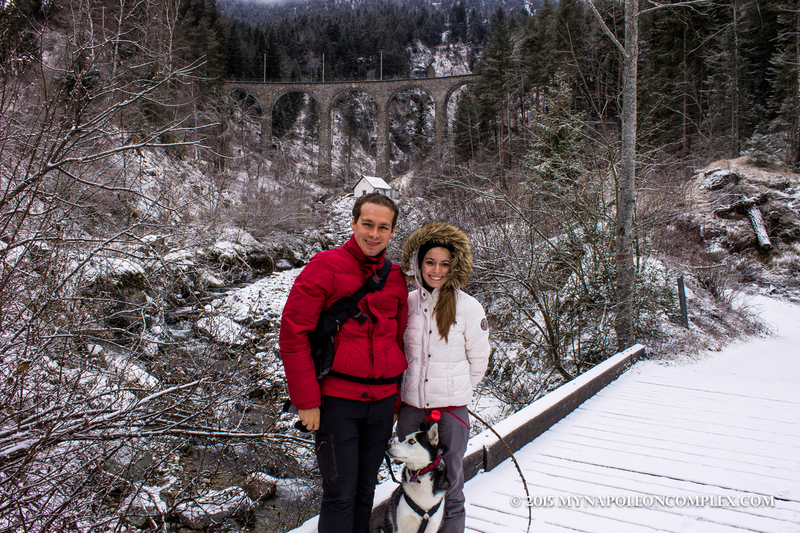 Apart from the fun of the ride, you also get some amazing views of the viaducts along the way, with the trains constantly passing right over you as you sled! Best part of a tired dog: posing for pictures! 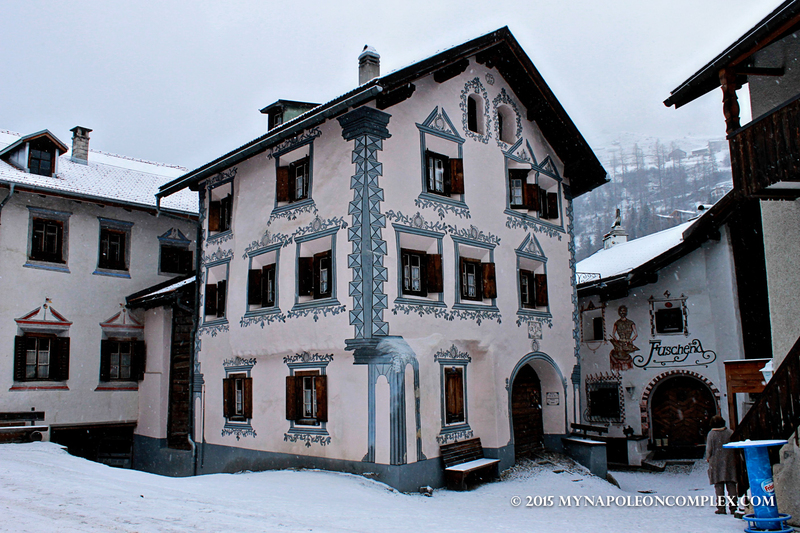 The village of Bergün is absolutely magical, specially blanketed under the layer of snow. 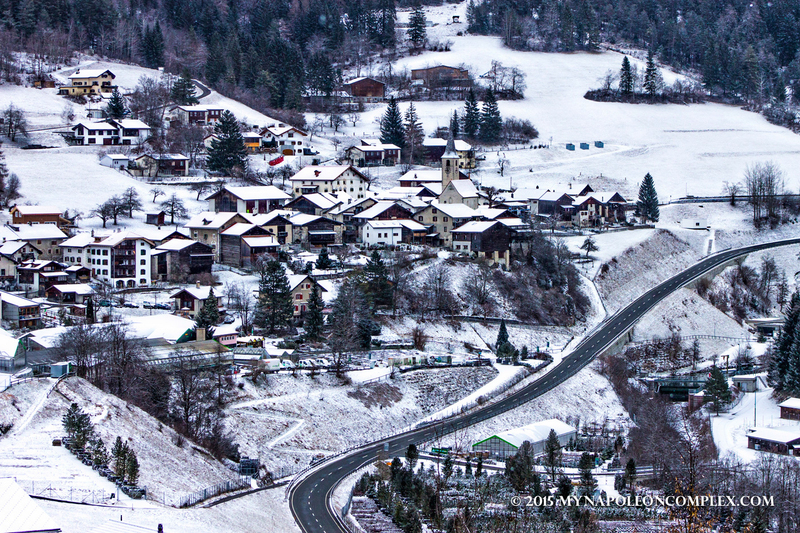 For me, it was much more picturesque than St. Moritz and definitely worth a visit. 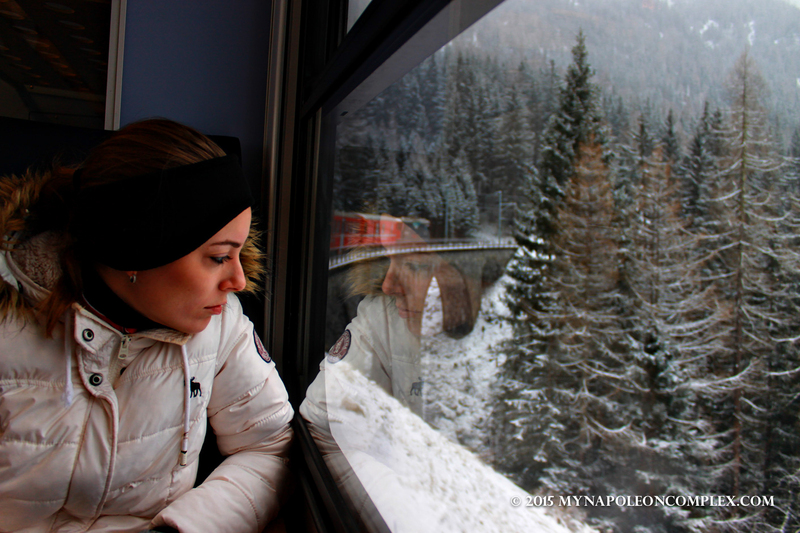 From St. Moritz, it is only a 40 minute train ride away! haha! for real, we were thinking the same thing when we saw the pictures!